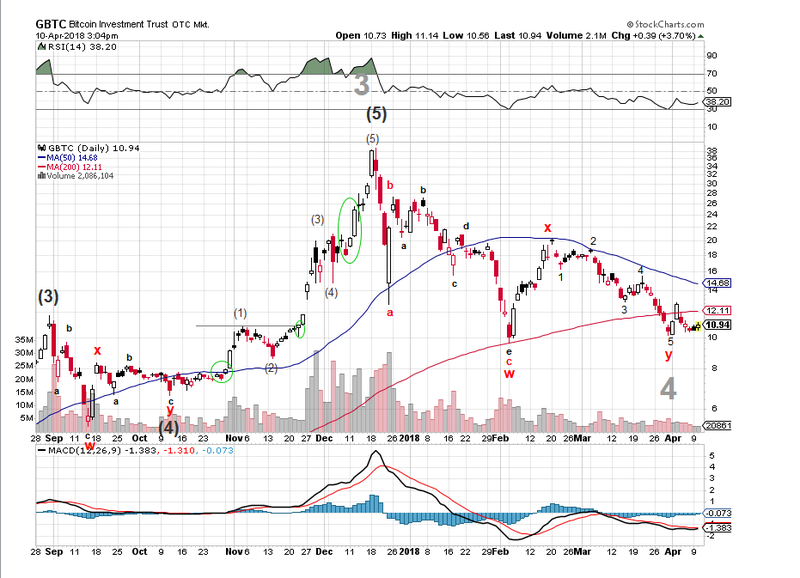 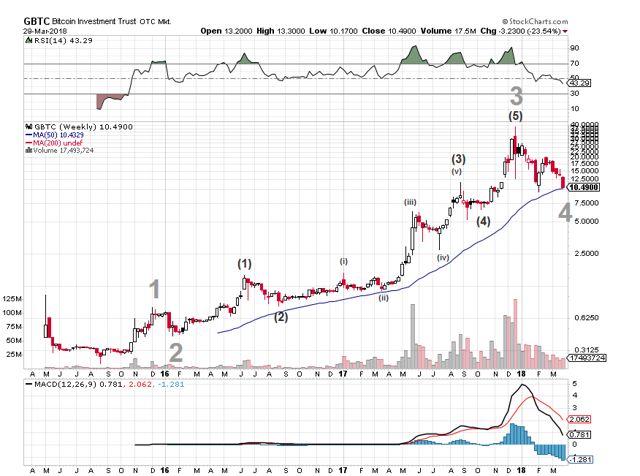 Elliot Wave update on GBTC. 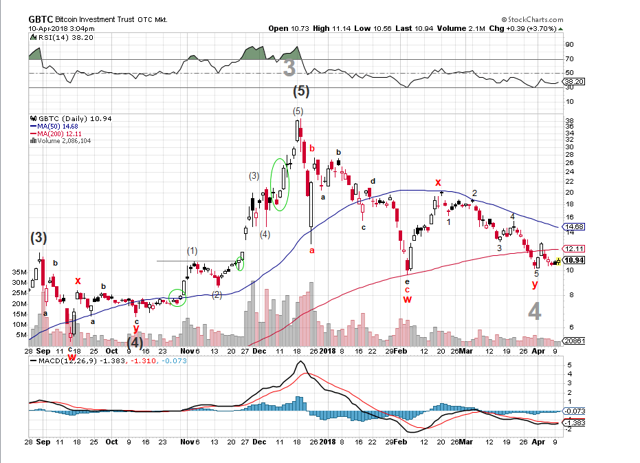 Now that W-X-Y corrective pattern has completed with satisfaction, which rhythms with previous corrections (ex: wave (4) in the chart below), I'm very optimistic on bitcoin trading higher. Disclosure: I am/we are long GBTC.